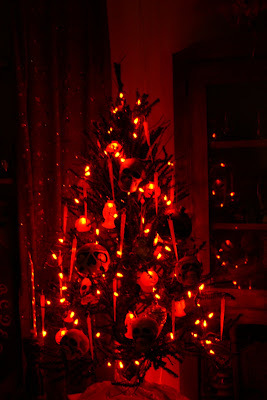 Just thought I would share my 'Christmas' tree with you this year. 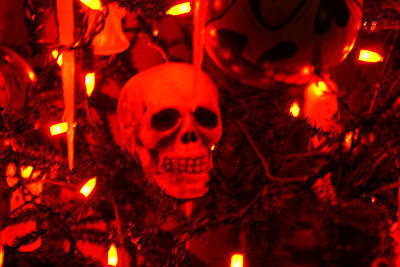 I took the pictures before I put the tree topper on - silly me! The topper is a witch flying on her broom (of course)! 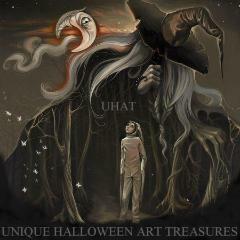 Any time can be Halloween time with my latest piece of Halloween Folk Art. 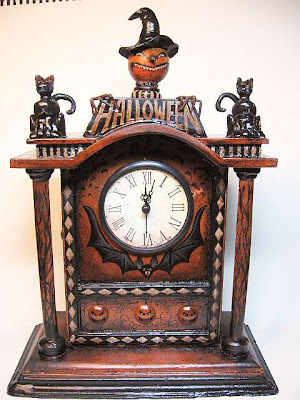 This clock has been completely redone with a vintage Halloween theme. 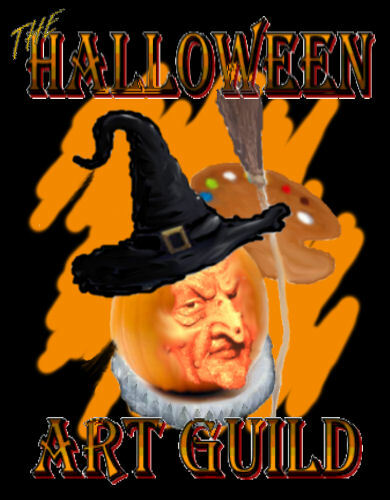 The pumpkin head wears a hand sculpted witches hat and 2 sculpted cats sit on either side. Fully painted on all sides with my own original designs. 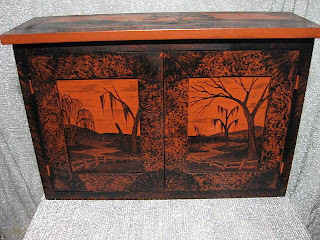 It is a small 2 door cupboards that is perfect for holding part of your Halloween collection. 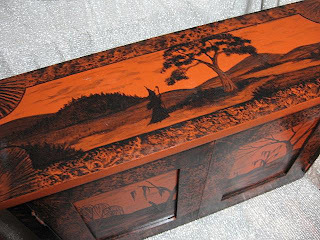 The sides and top have been painted with my signature black on orange spooky landscapes. The inside has also been painted so you can use the cupboard open or closed. 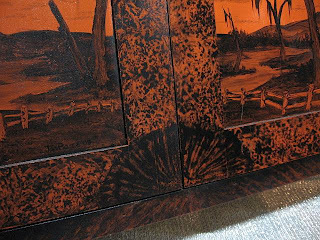 I have these cupboards custom made exclusively for me by an Amish craftsman and then I do all the painting. They are designed to ship undersize through UPS and save you money! 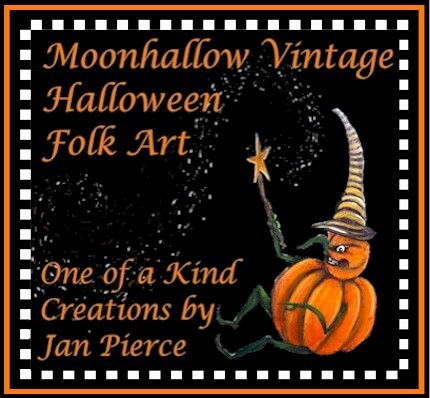 Visit my website to order a Halloween Folk Art Cupboard for your very own! I was walking through the craft store the other day when I noticed they had put out their fall silk flowers. You know what that means...that's right... Halloween is just around the corner! 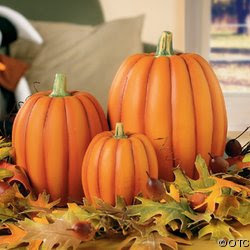 It won't be long before the pumpkins are ripe and witches and ghosties start popping up all over. 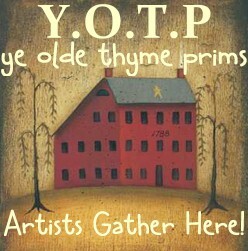 It also means that my craft show is fast approaching! 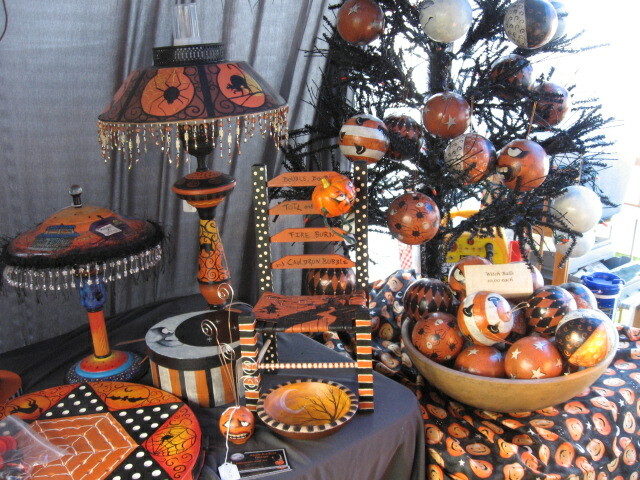 Last year was my first year at the Hay Creek Fall Festival and it was such fun, I signed up to do it again this year. 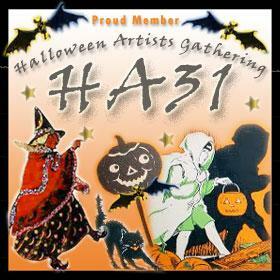 It is a juried 3 day show that takes place at Johanna Furnace just outside Morgantown PA. 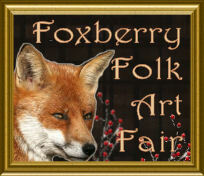 This year, the dates are Friday, Saturday and Sunday Sept 5,6 &7 2008. The festival is open 10am to 5pm. On Saturday and Sunday, they have a Pancake breakfast from 7-10 am that is really yummy! 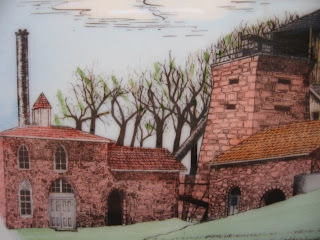 The Hay Creek Festival celebrates Early American Life at the Joanna Furnace located just off of Rt 10 north of Morgantown PA (about 3 miles from the PA turnpike) so it is really easy to find. On top of all the juried crafts, there will be early American craft demonstrations like weaving, spinning, black smithing etc, Civil war encampments and military displays. They have a whole section on old hit or miss engines too - really neat! Traditional folk music and great food all day every day - they even cook in cast iron cauldrons over open fires! Parking is free with a shuttle that runs from 7am to 6pm. I will post my space number as soon as they tell me what it is. I will be easy to find though - just look for all the orange and black stuff :) I usually have larger items that are more difficult to ship as well as the smaller one of a kind items I regularly sell online. Last year, admission was $8.00 for adults - kids 12 & under got in FREE. (Sorry, No Pets) - It should be about the same this year. 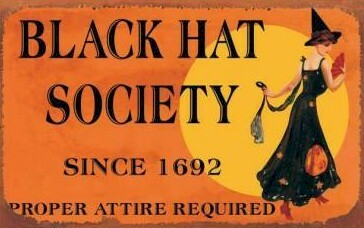 Check out www.haycreek.org for more information.